Why spend money and time installing temporary fencing and restricting your animals from grazing your entire pasture at once? The answer is profit. By subdividing and allowing grassland to better recover from a grazing event, forage growth improves and your animals can get more out of their pastures. Moving your animals through smaller sub pastures means you can better manage forage, optimizing your recovery days and improving pasture health. A healthy period of recovery between grazing events improves forage growth by minimizing the time the soil is heavily trampled and taking advantage of the prime growth periods of forage plants. Then, with proper planning, extra pastures can be freed up and stockpiled for the fall and winter months, extending your grazing season drastically. 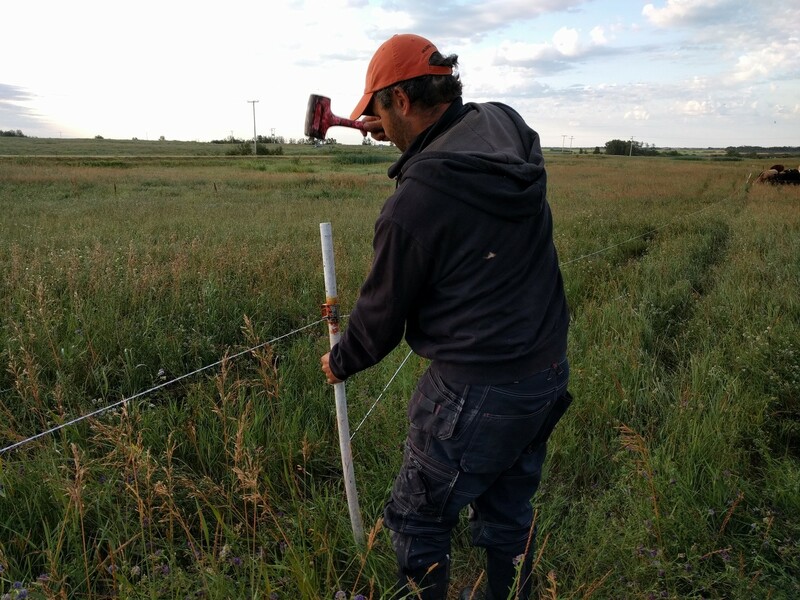 How much would 5 extra grazing days save you? An extended grazing season and increased stocking density and rates means that grazing with subdivisions saves money across the board, from feed and hay costs to fertilizer use and labor hours. 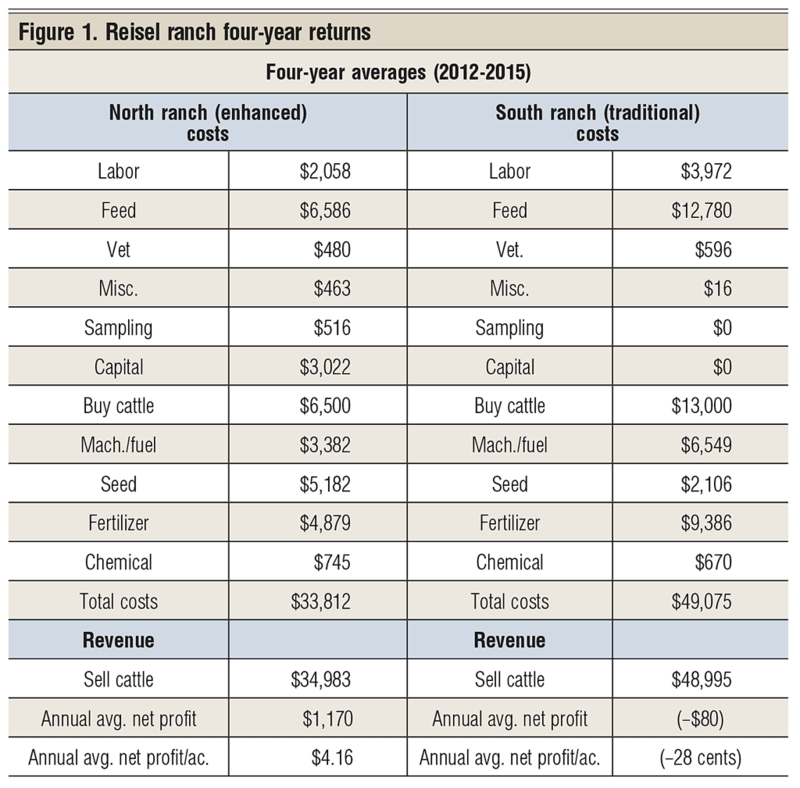 Don’t take our word for it though, a Texas Ranch set out to test management practices, and the results are astounding; the ranch ended up reducing feed cost by nearly 50%, and saved thousands on fertilizer use as well through extending the grazing season and increasing stocking rate and density. The end result: management practices making use of subdividing transformed the ranch from break even to profit in the first year, with even more profit expected to come in the future! So what’s the quickest way to bolster your profit with subdivisions? 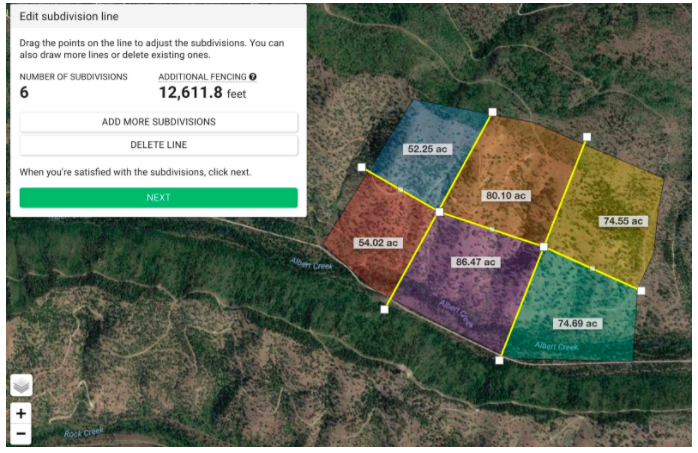 We worked with top ranchers to build you the easiest subdivision planning tool. Here’s how it looks. It even calculates your additional fencing required, so you’ll always have the right amount of polywire with you when you go out to lay fence. With this feature, keep track of subdivisions and fencing on the map, and then visualize your past and planned moves as shown below. Easily make sense of your records and use record-driven insight to determine your future herd moves. ADA’s, recovery days, and pasture forage details are all at your fingertips. Then, automatically share your grazing plans with your team and save time otherwise spent managing. As a teaser of what’s in store for you, here’s Brad Dennis’ ranch, complete with pastures, subdivisions, color-coded ADA’s, and the move path of one of his herds. 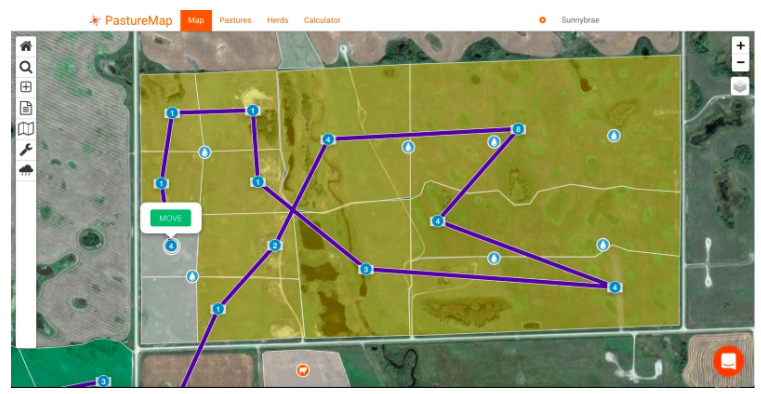 With PastureMap, you always have your records on hand, and can use them to make advanced management decisions both from home and in the field. Give it a try, and boost your profit.